Ever hear about selenium as a nutrient, but wonder what it does or where to find it? In a recent article on Food & Nutrition, Kathleen Zelman, MPH, RDN provides a great summary of this mineral. Here are some key highlights of the article, but be sure to read the whole thing if you’re looking for more detail. 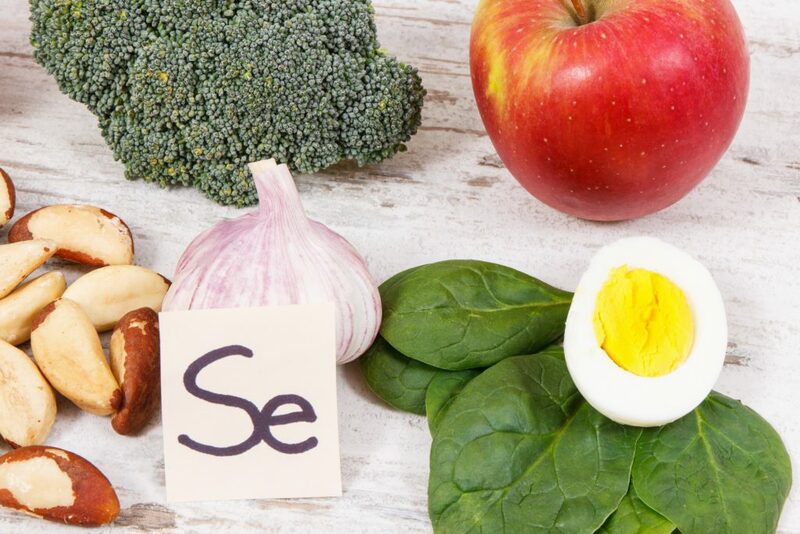 Selenium is a mineral that is important for a group of proteins called selenoproteins, which have quite a few different functions in the body. Some selenoproteins, called glutathione peroxidases, are important for our body’s antioxidant system, which protects our DNA and cells from oxidative damage. Other selenoproteins (‘iodothyronine deiodinases’) have roles in thyroid function and metabolism. Specifically, they help activate thyroid hormone into its active form. Thyroid hormone helps regulate growth, development, body temperature, and nutrient metabolism. There are over 25 selenoproteins which have roles ranging from helping our reproductive system function to storing selenium in the liver. The recommended dietary allowance (RDA) of selenium is 55 micrograms per day. The best sources of selenium are seafood, beef, pork, chicken, and nuts and seeds. Interestingly, brazil nuts contain 544 micrograms of selenium, over 10 times the recommendation and higher than the tolerable upper limit of 400 micrograms per day.